This just in from a HFTK tipster! Turleback Zoo was the site for a prehistoric diet experient, conducted by no less than Dr. Oz! Dr. Oz chose Turtle Back Zoo as the location to film his show for an episode airing 10/28/11. Titled "Dr. Oz's Most Extreme Experiment Ever: Could a Prehistoric Diet Save Your Life?" – America's Doctor set out to help three women with high blood pressure and cholesterol by prescribing a "prehistoric diet"...and to remove any tasty temptations, Dr. Oz brought the ladies for an extended visit to Turtle Back Zoo. 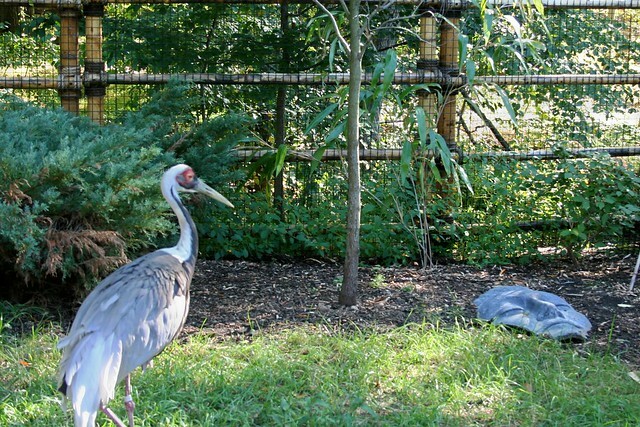 The Zoo's "temporary residents" took over our White-Naped Cranes' exhibit for 48 hours! The results? You'll have to watch The Dr. Oz Show on October 28 to find out! Turtle Back Zoo is an educational and recreational facility in the Essex County Parks system. The zoo is nationally acredited but more importantly provides a safe place for parent, grandparents, and children to enjoy wildlife from every continent. Turtle Back Zoo is located in West Orange NJ.